Tonkatsu and Kit Kats may be the “good luck” choice for winning on the field — a superstition based on the katsu (win) component of tonkatsu, and Kit Kats’ similarity to kitto katsu (certain win) — but a nutrient-based approach to athletic undertakings is generally agreed to be more strategic. In pre-workout meals, you’re looking for quick and slow energy release (simple and complex carbs), lean protein for muscles and blood cells, and electrolytes to help with water retention and circulation. Post-workout, it’s nutrient-dense vegetables, high-quality protein to promote muscle recovery, antioxidants and anti-inflammatories to help reduce muscle stress, and citric acid to prevent muscle pain and promote fatigue recovery. These were the samurai superfood of choice for pre-battle stamina and post-battle recovery. To produce umeboshi, ume (Japanese apricot) are salted and undergo lactic acid fermentation, the outcome of which — aside from a sweat-inducing sourness — is a cornucopia of performance-enhancing properties, including citric acid, potassium and sodium electrolytes, and antioxidant compounds. 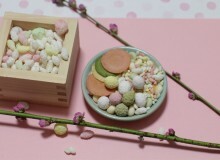 Eat umeboshi as-is, inside onigiri, or with okayu or ochazuke (types of rice porridge, see below). If it’s post-game, try muddling one in a glass, add ice and shochu, top with soda water and have yourself an ume-hai. 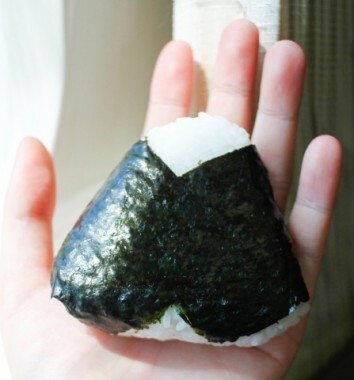 If you need a pre-workout hit of carbohydrates that doesn’t weigh you down, reach for an onigiri – a Japanese rice ball (or triangle). These are readily available from supermarkets and convenience stores for around ¥100 — just make sure you reach for the relatively plain ones rather than those filled with tonkatsu, luncheon meat, tomato sauce, cheese, mayonnaise and the like. 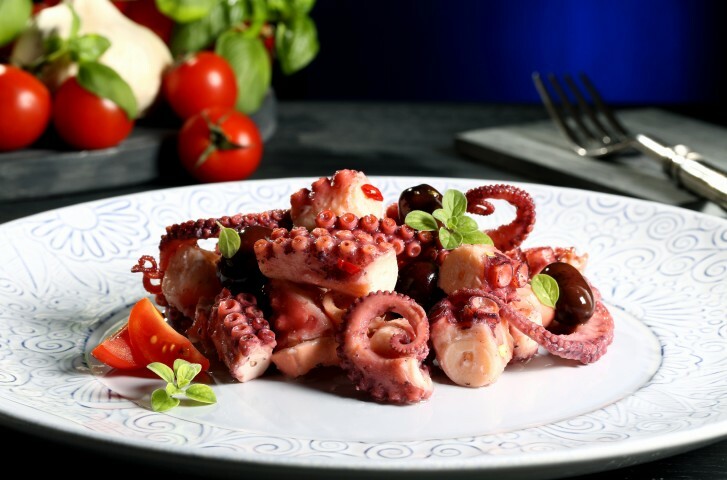 Octopus has been getting an increased amount of attention in fitness circles recently for its relatively high levels of protein (on par with chicken breast, 30 grams per 100 grams), and for its high levels of taurine. Taurine is named after the Latin word for bull or ox (taurus), if that’s any indication of its propensity for strength promotion. Taurine is an amino acid that functions as an antioxidant, and therefore may help protect the body’s cells from damage by oxidation during exercise. It is also believed by some experts to improve mental performance and mood, as shown by studies of the performance of taurine-enhanced (i.e. Red Bull-fuelled) students. So next time you’re in an izakaya, how about trying some takowasa (octopus with wasabi)? 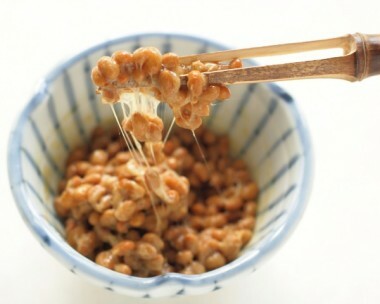 Natto, fermented soybeans, is infamously detested by foreigners, who find the combination of its pungent, old boot-like smell, disconcertingly sticky texture and light fizz of fermentation unpalatable. 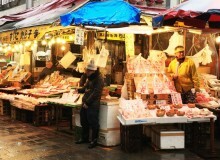 But what natto may lack in culinary appeal, it makes up for in nutrition. Natto is a nutrient powerhouse, stacked with antioxidants, vitamins C, B, B12, K1 and K2, plus a similar level of protein to red meat (18 grams per 100 grams of natto). Try mixing it with any combination of steamed rice, soy sauce, chopped onions and karashi (Japanese mustard) to take the edge off the smell. It does actually have quite a pleasant nutty flavor. If you’re really game, one of the most popular ways to eat it is with a bowl of rice and a raw egg, mixed up into one sticky brown soup-like mass. 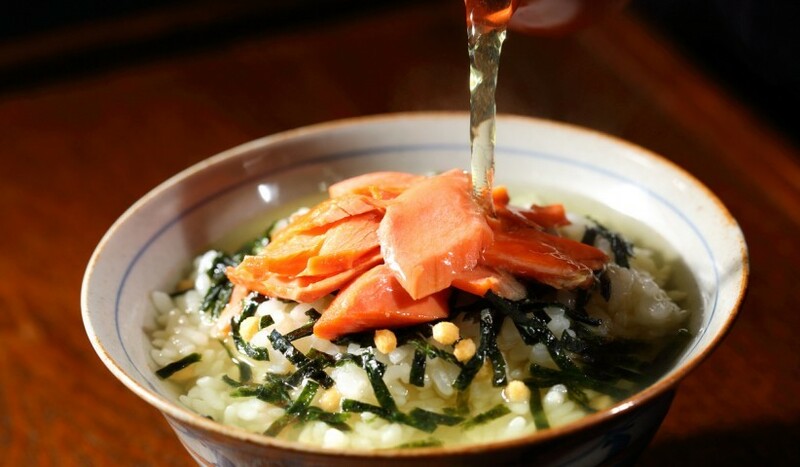 Okayu and ochazuke are different varieties of Japanese rice porridge. Okayu is made by cooking rice in 1:5 ratio with water, similar to congee. Ochazuke is cha (tea) poured over a bowl of rice. Both can help replenish glycogen stores burnt through during a workout, making them a good recovery meal. 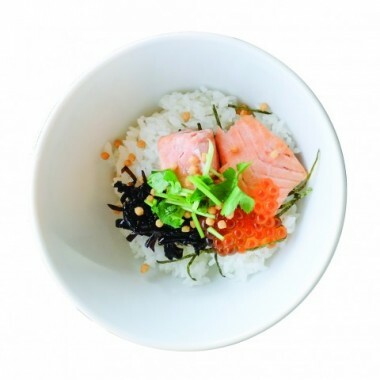 Eat these plain or customized to add additional nutrients — salmon, umeboshi, seaweeds, beans, pickle and sesame seeds are some popular toppings. 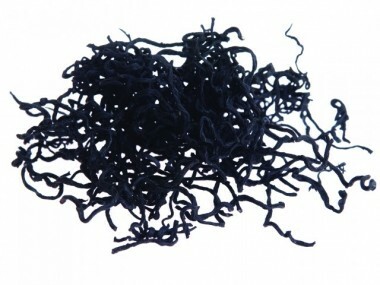 Hijiki is the spindly black seaweed that appears mixed into salads and rice dishes. 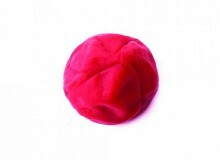 Darkly colored and richly flavored, with a slightly metallic and oceany taste, it’s unmistakably healthy. Hijiki contains high levels of magnesium, a powerful anti-inflammatory, which also helps to minimize the lactic acid produced in workouts that causes muscle fatigue and cramping, and chills out the central nervous system so you can sleep better. 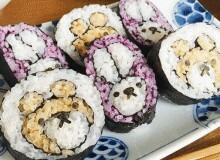 Mix some in with your onigiri, rice porridge, soba noodles or into tamagoyaki (rolled omelette) mixture. 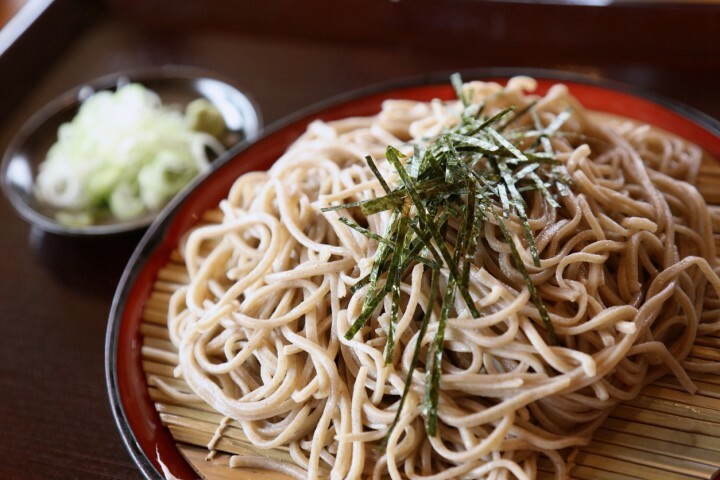 Soba noodles are made from buckwheat flour, occasionally a small amount of regular wheat flour and water, and are low in calories while offering an abundance of workout-enhancing nutrients. They are a source of “complete” proteins (the type the body can’t make on its own so we need to eat), as well as vitamin B3, magnesium, and flavonoids that boost the effectiveness of antioxidants — all effective for recovery from fatigue — making soba a great post-workout recovery meal. And because buckwheat is not a grain, like flour or rice, but rather a seed, it’s fine for gluten-intolerant types (assuming the noodles are made with 100% buckwheat flour). Check out our cold soba and pesto recipe— perfect for summer.